Dr Shiwei Duan completed his Ph.D. in Human Genetics in Department of Molecular Cell Biology from Shanghai Jiao Tong University, China. He has done MS in the field of Applied Biochemistry. From 2011 to present he is working as Professor, School of Medicine, Ningbo University. His research interests are Epigenomics and pharmacogenomics in anti-cancer chemotherapy(Epi), Genetics and (epi)genomics for cancers and complex diseases. Carlo Maria Rotella graduated in Medicine and Surgery in 1974 at the University of Florence Medical School and achieved the Diploma of Specialist in Endocrinology in 1978 at the same University. In 1977 was appointed Research Assistant at the University of Florence; from 1985 he was Associated Professor in Endocrinology and from 2004 he is Full Professor of Endocrinology, in the Department of Biomedical, Experimental and Clinical Sciences at the University of Florence. He spent two periods or at the National Institutes of Health, Bethesda, Maryland, as Visting Associate, and at the City of Hope National Medical Center, Duarte, California as Visiting Scientist. At present he is Director of Obesity Agency at the Careggi University Hospital. He was member of the Board of Directors of the Italian Society of Endocrinology, as well as of the Italian Society of Diabetology. He is Past-President of the Italian Society of Obesity. His topics of research were focused on Thyroid Diseases, Diabetes Mellitus, Obesity and Dyslipidemia. A member of the Stanford faculty since 2002, Dr. Natalie Rasgon is a professor in the Department of Psychiatry and Behavioral Sciences and Obstetrics and Gynecology in the Stanford School of Medicine. Dr. Rasgon received her M.D. and Ph.D. in Obstetrics and Gynecology and Pathological Physiology in the U.S.S.R. She began her distinguished career at UCLA School of Medicine, and in 2002, she established the Center for Neuroscience in Womens Health at Stanford. Having authored over 130 peer-reviewed publications, more than 25 book chapters, and a reviewer for 30 professional journals, Dr. Rasgon is considered a renowned expert in neuroendocrinology and womens mental health. Dr. Rasgons predominant research focus has been on the various manifestations and responses to treatment of depression in women, the impact and use of hormonal interventions during menopause and the effects on mood and cognitive function, and the interplay between endocrine function and womens mental health. Dr. Rasgons research interests include: the reproductive endocrine status of women with affective disorders, the neurobiology of the effects of hormone therapy in aging women, the neuroendocrinology of aging, and the role of insulin resistance in mood disorders, reproductive function, and cognitive decline. Dr. Domenico Rubello was born in Monselice Italy. 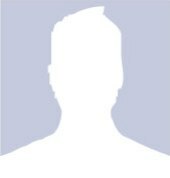 He is married with Marialuisa from whom he had three children. He obtained the post-graduate Academic Degree in Endocrinology in 1989 at Padova University-Italy. He obtained the Academic Degree as Medical Doctor in 1986 at Padova University. He obtained the postg-raduate Academic Degree in Nuclear Medicine in 1993 at Padova University-Italy. He has been the Co-ordinator of a multidisciplinary study group, charged by EANM Executive Board to prepare the EANM guidelines on paraganglioma and pheochromocytoma imaging. He is member of the European Association of Nuclear Medicine. He involved in research as a member of a number of menopause societies and societies of contraception and reproduction. Member of the editorial board of various international journals such as Maturitas, Climacteric, Menopause and Gynecological Endocrinology. He published more than 500 original papers, reviews and book chapters, 500 published abstracts, editor/co-editor of six books on hormone therapy (sexual steroids, cardiovascular system/metabolism, gynecological cancer). His priorities have been in hormone therapy, menopause, hormonal contraception, and endocrine therapy for breast cancer. Principal investigator in over 50 national/international phase I-IV clinical trials involving more than 20,000 patients. He graduated as a chemical engineer, M.Sc.in organic chemistry 1982, PhD in chemistry 1986, Post-Doc in Macromolecules Chemistry, D. Sc.in Biology University of Moscow. He worked as a Researcher in the Laboratory of Toxicology and Forensic Science of the Forensic Centre of Baltimore 1991, of the University of Amversa 1993, 1994 and as a visitor Professor in Miami USA, 1996 and the Academy of Health of Mosxow 1999-2002. His research focuses on the evaluation of chronic exposure of population groups to xenobiotic and the correlation of this report with health problems, in identifying and determining non-specific and xenobiotic metabolites, to examine polymorphisms of genes in a population exposed to pesticides, in the analysis of hair for court applications and the toxicology of new macromolecular systems. Prof. Tsatsakis is currently the President of EUROTOX, the President of the Hellenic Society of Toxicology, ex-member of the EUROTOX Nomination Committee, chairman of the ERT HST national Registry and member of several Scientific Academies and Societies. Wang Xiao Min received MD from Harbin Medical University, China on 1987, Master Degree on 1990 from same university and Ph. Degree from Beijing Medical University School of Stomatology on 1990. Dr. Wang Xiao Min work for Attending Physician, First Affiliated Hospital of Harbin Medical University on 1993-1999 as attending physician and Beijing Medical University School as Deputy Director of Physician from 2000-current. 1999-2000. Attending Physician, Beijing Medical University School. Dr. Mohammad Amjad Kamal is a Distinguish Adjunct Professor at King Fahd Medical Research Center (KFMRC), King Abdulaziz University, Jeddah, Saudi Arabia, where he was full Professor from March 2011 to March 2013. Prof. Kamals overall biochemical research output had culminated in more than 185 publications in internationally respected journals, and 61 abstracts in international conferences. His research was pivotal in supporting the development of the novel anti-Alzheimers agents from the laboratory to the clinic via collaboration with Dr Nigel H. Greig. Prof. Kamal also collaborated in one of the molecular biological research project at the University of Technology Sydney. Dr. Mohammad Amjad Kamal is a Distinguish Adjunct Professor at King Fahd Medical Research Center (KFMRC), King Abdulaziz University, Jeddah, Saudi Arabia, where he was full Professor from March 2011 to March 2013. Prof. Kamals overall biochemical research output had culminated in more than 185 publications in internationally respected journals, and 61 abstracts in international conferences. His research was pivotal in supporting the development of the novel anti-Alzheimers agents from the laboratory to the clinic via collaboration with Dr Nigel H. Greig. Prof. Kamal also collaborated in one of the molecular biological research project at the University of Technology Sydney. He established his Research Group of Fundamental and Applied Biology Group at KFMRC. This research aims to focus on advancing the scientific research at KFMRC in providing health translational services to humanity particularly local Arab community. I am a clinical geriatrist. I received the medical Bachelor degree from Harbin medical University in 1997. I received MSc in Neurology from Harbin medical University in 2002 and a PhD in Geriatric Medicine in 2011. My lab has made major contribution to the understanding on how activated platelets are involved in common geriatric diseases. My recent work also focused on the early markers of arteriosclerosis in various geriatric conditions. I have served on two international journals editorial boards. Research Interests are I am focusing on the early markers of arteriosclerosis in various geriatric conditions. Lavi Oud received an M.D. degree from the Technion School of Medicine, Israel. He has completed his post-graduate training in Internal Medicine at Morristown Memorial Hospital and clinical and research fellowships in Critical Care Medicine at Wayne State University. Dr. Oud is an Associate Professor of Medicine at Texas Tech University School of Medicine and the Chief of the Division of Pulmonary and Critical Care Medicine at the Texas Tech University Health Sciences Center at the Permian Basin. He is a Fellow of the American College of Chest Physicians, and the American College of Physicians. His clinical research focuses on the metabolic response to injury, health care systems, and outcomes in critically ill patients. Dr. Lin joined the staff of Center for Functional Genomics (CFG) in 2002, as Core Director of the Proteomics/Mass Spec Facility. He is also a Research Associate Professor, Department of Biomedical Sciences, School of Public Health, State University of New York at Albany. Dr. Lin earned his doctoral degree in Analytical Chemistry at the Graduate School of the Chinese Academy of Sciences at the Institute of Chemistry, China in 1996. In 1997, he was promoted to Research Associate Professor to pursue his independent research ideas in Chemistry, Chinese Academy of Sciences, China. He completed his post-doctoral research fellowship training in protein and membrane lipid biochemistry under the mentorship of Dr. John Glomset at the Howard Hughes Medical Institute (University of Washington, Seattle) in 2000. Following that, he continued his biomedical research fellowship training in the Heart Institute of the Albany Medical Center, New York in 2001. He served as Chief Proteomics/Mass Spec Scientist in the Myomatrix Therapeutics, LLC (Cytopia) in 2002. Dr. Lins research interests include methodology development for proteomics and mass spectrometry, mammalian cell membrane structure, phosphorylation in cellular signal transduction, and molecular proteomic changes in neurodegenerative and cardiovascular diseases. Dr. Lin has established successful collaborations with, and performed proteomics/mass spectrometry research projects for more than 300 clients around the world that include major research institutions, universities, government agencies, scientific organizations, and pharmaceutical companies. In this capability, he was invited to join the panel of NIH proteomics initiative several times. He has authored or co-authored more than 40 peer-reviewed journal publications and abstracts. Dr. Shaodong Guo is Associate Professor of Medicine in the Division of Molecular Cardiology of Department of Medicine at Texas A&M University College of Medicine and Cardiovascular Research Institute. Dr. Shaodong Guo received his Ph.D in Physiology in the Department of Biology at Peking University, China in 1995. Then he completed his postdoctoral research training in Genetics, Biochemistry, and Medicine in the Institute of Genetics and Developmental Biology of Chinese Academy of Sciences, the University of Illinois at Chicago, and Harvard University, respectively. Dr. Guo was an Instructor in Medicine at Childrens Hospital Boston and Harvard Medical School for two years prior to joining the faculty at Texas A&M Health Science Center. Currently, Dr. Guo serves as senior editor for the Journal of Endocrinology and Journal of Molecular Endocrinology, two major official journals of Endocrine Society of Europe and British. Dr. Shaodong Guos general research interests include the mechanisms of diabetes, diabetic cardiomyopathy, and the action of fuel hormones, focusing on insulin/glucagon and beta adrenergic signal transduction, insulin resistance, gene transcriptional control of nutrient homeostasis, and cardiac dysfunction in diabetes. Dr. Guo has been working on the gene transcriptional regulation of metabolic homeostasis by insulin receptor substrate proteins (IRS) and Forkhead FoxO transcription factors with the hope of understanding how the signaling from insulin via IRS to FoxO proteins plays a key role in many fundamental cellular processes, including cellular growth and metabolism. His lab has taken a multidisciplinary approach in both cell- and animal- based experiments to investigate how different signals regulate FoxO and how dysregulation of the FoxO pathway is involved in the development of metabolic diseases. His work has been published in a number of journals including the Journal of Biological Chemistry, Endocrinology, Hypertension, Diabetes, Circulation Research, AJP, Molecular & Cellular Biology, Cell Metabolism, and Nature Medicine. Dr.Guos research has been funded by the American Diabetes Association, American Heart Association, and National Institute of Health. His labs long term goals are to identify components of the IRS/FoxO regulatory network that can be targeted for diabetes and cardiovascular medicine. 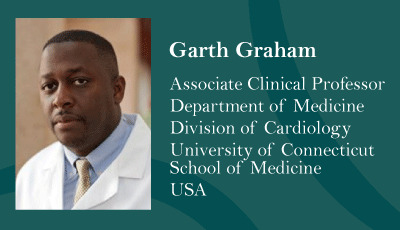 Garth Graham, MD, MPH, is board certified in internal medicine and cardiology and previously served as deputy assistant secretary in the U.S. Department of Health and Human Services and assistant dean for health policy and chief of health services research at the University of Florida. He has published in the Journal of the American Medical Association, Health Affairs and Circulation. He has served on number of boards including the Institute of Medicine Board on Population Health, North America Thrombosis Forum and the Federal Coordinating Council on Comparative Effectiveness Research. Dr. Graham holds a MD and a MPH from Yale University and did his medicine training at Massachusetts General Hospital. Research Interests are Health Disparities, Health Outcomes, Comparative Effectiveness Research. Dr. Nathalia Garcia is an assistant professor in the Department of Applied Dental Medicine, Section of Periodontics at Southern Illinois University, School of Dental Medicine; and an Adjunct Assistant Professor at Saint Louis University, Center for Advanced Dental Education. Dr. Garcia received her DDS and the diploma of Specialist in Periodontics from the Universidad Javeriana (Bogota-Colombia). She also obtained a diploma in University Teaching and a certificate in University teaching skills. She has a proven background of over 17 years of academic, research and teaching experience in dentistry including undergraduate and graduate programs in Colombia and USA. Dr. Garcias research focus has been in the fields of periodontal disease therapies, vitamin D, nutrition and periodontal disease progression. She has participated in different projects funded by the National Institutes of Health (NIH) including the Human Microbiome Project; currently, she is working in the multi-center study supported by the NIH-NIDCR entitled Biomarkers of periodontal disease progression, assuming the role of Principal investigator for Southern Illinois University. Dr. Garcia is a member of the American Dental Association, American Academy of Periodontology, International Association for Dental Research, American Association for Dental Research and American Dental Education Association. Research Interest are Periodontal disease therapies, vitamin D, nutrition, periodontal disease progression, diabetes and periodontal disease, periodontitis and systemic diseases connection. Dr. Gabriela Mustata Wilson is an Assistant Professor in the College of Nursing and Health Professions at the University of Southern Indiana where she leads the health informatics efforts in the Health Services and Health Administration Programs. Dr. Mustata Wilson earned a Ph.D. in Computational Biochemistry from the University of Houston and a M.Sc. in Molecular Biology and Biotechnology from the Free University of Brussels in Belgium. She is an elected Director of the Board of the Indiana Healthcare Information and Management Systems Society Chapter, published numerous research articles and co-authored several patents. Her work experience in industry and academia facilitated the discovery of novel therapeutically active molecules for a series of biological systems and development of new methods and technologies for the advancement of drug discovery and oral drug delivery. Her current focus is on whether and to what extent health information technology applications increase efficiency in clinical settings. Olubode Olufajo earned his medical degree from the University of Ibadan followed by an internship at the University College Hospital, Ibadan. After serving as a medical officer in a military base, he proceeded to the Harvard School of Public Health where he obtained a Master of Public Health concentrating in Quantitative Methods. He has worked with the TIMI Study group at Brigham and Womens Hospital and is a currently a Research Fellow at the Center for Surgery and Public Health and the Division for Trauma, Burn and Surgical Critical Care at Brigham and Womens Hospital and Harvard Medical School, Boston. Olubode Olufajo earned his medical degree from the University of Ibadan followed by an internship at the University College Hospital, Ibadan. After serving as a medical officer in a military base, he proceeded to the Harvard School of Public Health where he obtained a Master of Public Health concentrating in Quantitative Methods. He has worked with the TIMI Study group at Brigham and Womens Hospital and is a currently a Research Fellow at the Center for Surgery and Public Health and the Division for Trauma, Burn and Surgical Critical Care at Brigham and Womens Hospital and Harvard Medical School, Boston. Bode has authored and co-authored papers relevant to health policy, comparative effectiveness research, and tobacco control. He is an active reviewer for many journals including Preventive Medicine and the American Journal of Public Health. Dr. Khue Vu Nguyen is currently Full Project Scientist in the Departments of Medicine and Pediatrics, University of California, San Diego, School of Medicine, San Diego, California, U.S.A. He has studied at University Louis Pasteur, Strasbourg, France: B.S. in Biochemistry, M.S. in Molecular Biology, Ph.D. in Macromolecular Physical Chemistry, Ph.D. in Physical Sciences. He has worked as Scientist in different French and U.S. Research Institutions and Companies. He is author and co-author of numerous publications and holder of many patents. He is listed in Whos Who in the World, Whos Who in America, etc. He is member of different academic organizations such as American Society for Microbiology, American Chemical Society. He is invited reviewer of different scientific journals such as Molecular Genetics and Metabolism, AGE: Journal of the American Aging Association. He is also editorial board member of different scientific journals such as International Journal of Medicine and Molecular Medicine, Open Journal of Endocrine and Metabolic Diseases. He is Scientist Reviewer for the Metabolic Disease Two (MB-2) of the Peer Review Medical Research Program (PRMRP) for the U.S. Department of Defense Congressionally Directed Medical Research Programs (CDMRP). Current research includes genetic diseases, neurodevelopmental and neurodegenerative disorders, and cancer. Dr. Song, PhD, is currently a research associate in Department of Genetics, Harvard Medical School & Howard Hughes Medical Institute in Boston, MA. He obtained his PhD in Molecular Biology from Institute for Nutritional Sciences, Shanghai Institutes for Biological Sciences, Chinese Academy of Sciences. As a biological researcher with over 10 years of extensive experience in molecular biology and genetics, he is focusing on molecular elucidation of human metabolic diseases, including obesity and diabetes. His major research interest is to discover the novel genes and pathways involved in inter-organ communication during systemic energy homeostasis by integrating next-generation sequencing, RNAi screen, and animal model validation. Research Interest are to understand the endocrinal roles of stressed or exercised muscle in systemic aging and energy homeostasis, to characterize the novel gut hormones that regulates intestinal and systemic lipid metabolism, to identify the key ligands involved in cancer cachexia leading to weight loss, lipid depletion, and insulin resistance, to characterize the kinome network in glucagon signaling that contributes to hyperglycemia and type 2 diabetes. Dr. Rex Cheung, M.D. Ph.D, is a board certified radiation oncologist specializing in the treatment of a variety of adult cancers with radiation therapy. He obtained his M.D. and Ph.D. from Columbia University School of Medicine in New York City. He finished his radiation oncology residency at Hospital of University of Pennsylvania School of Medicine in Philadelphia. Dr. Cheung is a published expert on public health and epidemiology of metabolic and endocrine diseases, especially as related to oncology. Dr. Cheung has expertise and published a number of papers on advanced radiation oncology treatment techniques (SBRT, SRS, Cyberknife), combined modality treatment, radiation related normal tissue toxicities and prostate cancer. He is also interested in the effect of vaccines and vaccination on cancer prevention and treatment, as well as the effects of socioeconomic conditions and nutrition for cancer patient health and outcome. He has given talks in national meetings on his work. He is on several Editorial Boards related to cancer and cancer treatment. He is a member of radiation oncology society ASTRO. Dr. Cheung enjoys arts and music. He has published his art work on the cover of radiation oncology specialty journal International Journal of Radiation Oncology, Biology and Physics. He believes arts, music and writing should be a part of healing culture, and be a part of a deeper communication with patients. Jennifer Saluk received a B.S. degree in biomedical engineering from Northwestern University. After graduation, she worked at Epic Systems, focusing on information technology applications in healthcare systems. She is currently a candidate for a M.D. degree from Loyola University of Chicago, Stritch School of Medicine. She is also associated with the Hemostasis and Thrombosis Research Unit in the Departments of Pathology and Medicine at Loyola University Medical Center, as a student research fellow. She has participated in various research programs related to inflammation and vascular diseases. In particular, she has developed a program related to metabolic syndrome in various diseases by profiling biomarker of metabolic and inflammatory processes. This research will contribute to the understanding of the pathophysiology of such diseases as end stage renal disease, degenerative joint diseases, and cancer with reference to the role of metabolic aberrations that are usually observed in diabetes and related disorders.